Happy Friday! This week has brought an end to summer and the first days of fall. 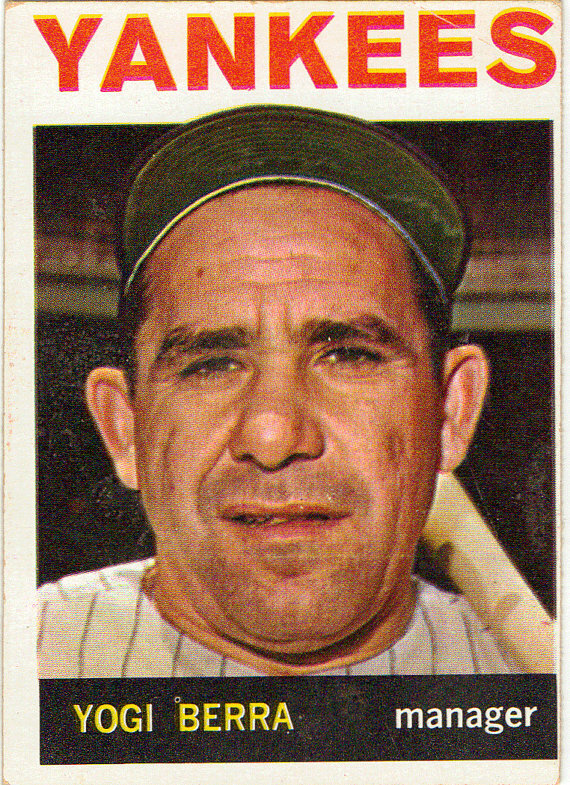 This week also brought an end to the life of a unique legend, Yogi Berra. Here are a few of my favorite yogi-isms. This entry was posted in baseball, Friday Funny on September 24, 2015 by Leonard. Happy Friday! Are you one of those folks that would like to read but just cannot ever seem to find the time? I think I have an answer for you! 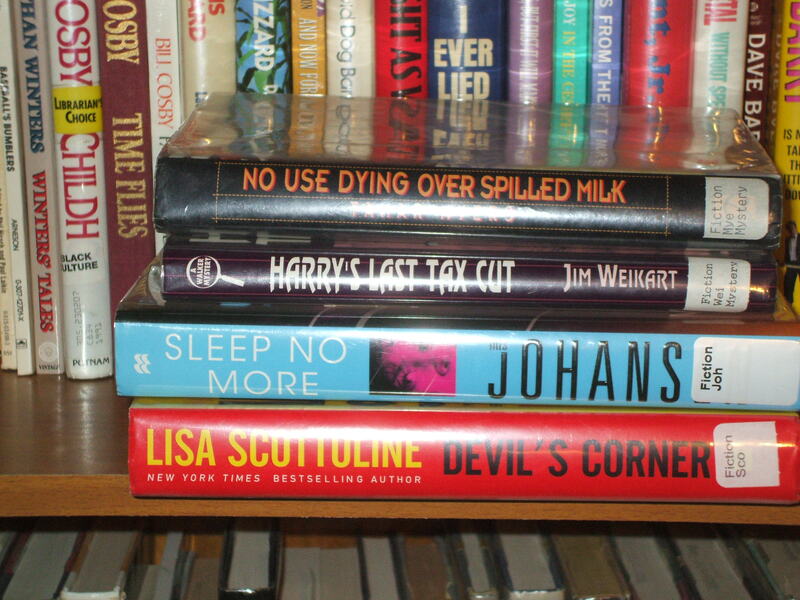 Here is a list of books that will take no time at all to read. This entry was posted in Friday Funny, Humor and tagged Short Books on September 17, 2015 by Leonard. The next presidential election is more than a year away and by all appearances it is going to be a very, very long year. We will hear a whole bevy of candidates telling us how they will solve all our problems and why every other candidate is a low-life scum bag that is not worthy of consideration. There will be name calling, mud-slinging, false claims and smear campaigns. It will not be pretty and odds are most people will be disgusted at some point along the way. Yet, come November of 2016 we will vote and in January of 2017, a new President will be inaugurated and the “Great American Experiment” will continue. I am not the most politically minded person. Over the course of my life I have been disappointed by Presidents and majorities of both parties. But over the course of the next year I will do what I can to understand the candidates and I will cast my vote. I am not very pleased with a lot that is going on in Washington these days; however, very recently I was in the nation’s capital to attend a conference. It was a pretty brief trip with not a lot of extra time for sightseeing. 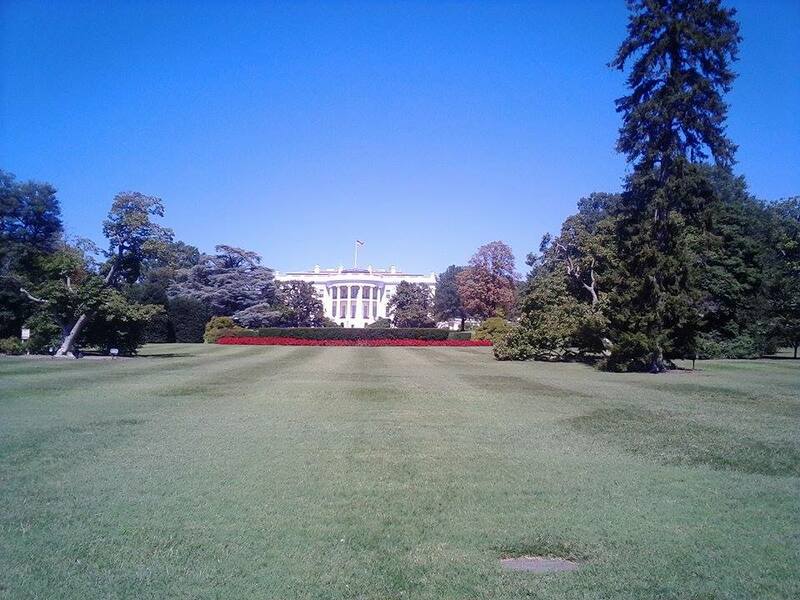 Yet, after lunch, I went for a walk that took me by the White House. In front of me was the place that has been the home of every US President since John Adams occupied it in 1800. This is as much a symbol of American and what we stand for as anything. It should remind us of life, liberty and the pursuit of happiness. This next year will be messy, but the end result will the continuation of a dream that remains the envy of much of the world. This entry was posted in Uncategorized and tagged White House on September 14, 2015 by Leonard. Happy Friday! 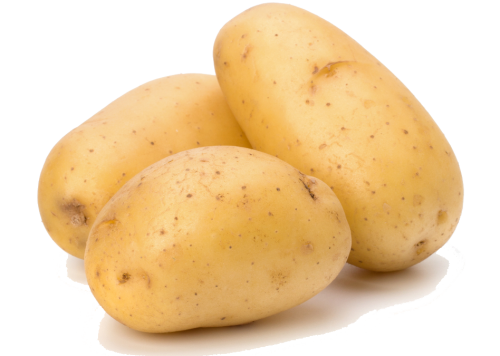 This week I wanted to share a little story about potatoes that has been around for a while. I am sure you know that all potatoes have eyes. Well, once upon a time, Mr. and Mrs. Potato had eyes for each other. They fell in love, got married, then one wonderful day, they had a little sweet potato, whom they called ‘Yam’. Of course, the parents wanted the very best for Yam and when it was time, they told her about the facts of life. They warned her about going out and getting half-baked, so she wouldn’t get accidentally mashed, and get a bad name for herself like ‘Hot Potato’, and end up with a bunch of Tater Tots. Yam said not to worry, no Spud would get her into the sack and make a rotten potato out of her! But on the other hand she did not want to just sit around the house and become a Couch Potato. She also decided that she would get plenty of exercise so as not to be too skinny like her shoestring cousins. Mr. and Mrs. Potato saved up their money and proudly sent Yam off to Idaho P.U. (that’s Potato University) so that when she graduated she’d really be in the Chips. Yet, in spite of all they did for her, one day Yam came home and announced she was going to marry Tom Brokaw. Tom Brokaw! Mr. and Mrs. Potato were very upset. They told Yam she couldn’t possibly marry Tom Brokaw because he’s just a……………..Common Tater. This entry was posted in Uncategorized on September 11, 2015 by Leonard. How Many Words Is A School Picture Worth? Labor Day has come and gone and now summer is unofficially, officially over. Most kids have been in school for a couple of weeks and are trying to get settled into the new routines. A new school year brings so many great opportunities: new classes, new teachers, new friends, new challenges. However, a new school year also brings new school pictures. At first that may not seem like a big deal. Well, yes, it really is kind of a big deal. 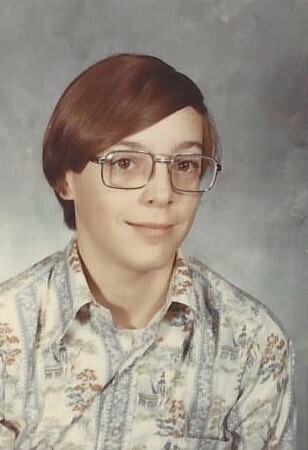 If you think about it, a school picture is a permanent record of how cool, or usually in my case, how dorky you were each year. In my early elementary school years, “Picture Day” was a time that all the moms found something nice for their children to wear and sent them off to school where we were marched one class at a time into the gymnasium where we got to stand on risers with our teacher on one end and the principal on the other end to have our picture taken as a class. The great thing about these black and white class pictures was that one was able to kind of blend in with all the other kids so that no one really stood out. There was always going to be a couple of kids with their eyes closed, a couple of kids with an odd expression, and a couple of kids whose mother forgot it was picture day and forgot to dress accordingly. The point being there were always enough “bad” pictures in the class picture that no one kid stood out. However, during my middle school years, there were two ominous developments related to school pictures. First, the pictures would now be in color and second, and more disastrous, everyone would have their picture taken individually. While both of these may sound like a good idea, remember I was in those middle school years where even the coolest kid, which I was not, looks kind of dorky. Now there was no place for me to blend in or hide, just me and the camera and the results were not pretty. To illustrate my point, the picture above is what I consider to be one of the worst school pictures I ever had. This picture is a “permanent record” of several things. First, not once in my life was my hair “cool.” Second, I will finally admit that glasses always made me a look a bit nerdy. Third, I have realized that I never had a “fashion sense” (an accountant can play it pretty safe by just sticking with white shirts). They say a picture is work a thousand words, I would say this picture is worth a lot less than a thousand words. I think two words: “nerd” and “dork” come to mind. Along with two questions: 1) Who bought that shirt? and 2) If my Mother loved me, why would she ever let me out of the house wearing that shirt? Perhaps you never gave school pictures a second thought, just wait a few decades and you will. This entry was posted in Uncategorized on September 8, 2015 by Leonard. Happy Friday! Happy Labor Day Weekend! 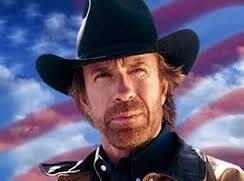 This week I wanted to share some “facts” about TV and motion picture action star Chuck Norris. In case you have not come across these, Chuck Norris “facts” are satirical factoids about the actor that have taken on a life of their own and spread around the world. Here are some of my favorites. Chuck Norris can cut a knife with butter. Chuck Norris can speak French… In Russian. Once a rattlesnake bit Chuck Norris’ leg. After five days of excruciating pain, the snake died. Big foot claims he saw Chuck Norris. Chuck Norris tells Simon what to do. Chuck Norris’s Blood Type is AK-47. Chuck Norris doesn’t dial the wrong number, you pick up the wrong phone. Chuck Norris won the tour de France, on a stationary bike. Chuck Norris can start a fire by rubbing two ice cubes together. Chuck Norris Runs until the treadmill gets tired. This entry was posted in Uncategorized on September 3, 2015 by Leonard. It occurred to me the other day that it was thirty-nine years ago this month that I first joined the ranks of those who are gainfully employed. It was just about the time that I was beginning my senior year at Meadowdale High School when my Dad came home from Sherer’s with a couple of hot fudge sundaes and a scoop about a job. He told me that there was a sign taped on the cash register at Sherer’s that they were looking for help. Now if there was ever a job that I was destined for, this was it! I got up right then and went to talk to Mr. Sherer. I came back ready to join the work force at a whopping $1.30 an hour. I still have my first pay slip and a $1 from my first pay. For some reason, Mr. Sherer did not have ice cream sodas on his menu board, so I guess technically I was not a soda jerk. I guess I was just a plain jerk. 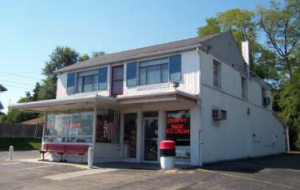 I always enjoyed going to Sherer’s as a kid to get a cone or a malt or a sundae or to bring home a half-gallon of his ice cream that was made on the premises in a ten gallon freezer. Sherer’s stood on North Main Street in Dayton for sixty years as a constant in an ever-changing world. Many other businesses came and went, Forest Park Shopping Center cropped up and crumbled down, but Sherer’s was always there. It was the place to go in Dayton for real home-made ice cream. We pretty much always have some Ice Cream around my house these days and the stuff you buy at the grocery is pretty good. But as a kid, the stuff at the grocery store tasted more like fluffed air than ice cream. So, it was a treat to go to Sherer’s for two scopes of chocolate ice cream on a cake cone, back before my first job opened my eyes to the wonderful world of flavors that existed beyond chocolate, vanilla and strawberry. I learned a lot of things working at Sherer’s, skills that have come in handy at just about every job I have ever had: to listen and be polite to the customer, to make change (without a screen telling me how much the change was), answering the hard questions like “What does the root beer ripple taste like?” (Gee, it tastes like vanilla ice cream with root beer mixed in.) I also learned how to put whipped cream on a sundae so that it doesn’t immediately slide down the side, a skill that I can still use to impress friends and family. I learned that the ice cream business is a little slow when it is twenty degrees below zero as happened that winter. I learned that you have to work a little faster when it is eighty degrees outside and you have a room full of people waiting to order ice cream. I learned that hot fudge is good on just about any ice cream flavor with the possible exception of rum raisin. I leaned that marshmallow topping should be part of any ice cream fan’s topping arsenal. I did not make a lot of money, but I learned what it was like to have a job, to show up on time, to help keep the store clean. Perhaps I did not realize it then, but I also learned that it is a tremendous benefit it is to work for good people. This entry was posted in Uncategorized on September 1, 2015 by Leonard.